We talk with the Democrats running to replace Duncan Hunter, Jr. in the 50th Congressional District. They represent very different sides of the Democratic Party. Also, why nobody challenged two San Diego school board members. The election Tuesday in Pennsylvania’s 18th Congressional District got national attention. The district had gone for President Trump by nearly 20 percentage points in 2016 (Trump 58.1 / Clinton 38.5). But in the special election this week, Democrat Conor Lamb barely beat Republican state Rep. Rick Saccone. Like a lot of Democrats, Lucas O’Connor, who works for Councilman Chris Ward, was quite hopeful for what that might mean far from Pennsylvania. “In the entire County, there is not a single Congressional district, State Senate district, Assembly district, Supervisorial district, City (or unincorporated area), or Council district reported out by the Registrar that’s outside Trump +20,” he wrote. He’s right. Trump won California’s 50th District by exactly 15 percentage points (Trump 54.6 / Clinton 39.6). A local Republican explained to us that the right path for a GOP candidate hoping to replace Hunter would be to focus on getting to the runoff, where Hunter can be beaten in a head-to-head matchup. But there’s a nightmare scenario developing for Republicans: A Democrat makes the runoff with Hunter who, plagued by scandal and attack ads that don’t need any sensationalism to sting, struggles against a wave of Democratic enthusiasm. We talked to El Cajon Mayor Bill Wells, a Republican, a couple weeks ago. 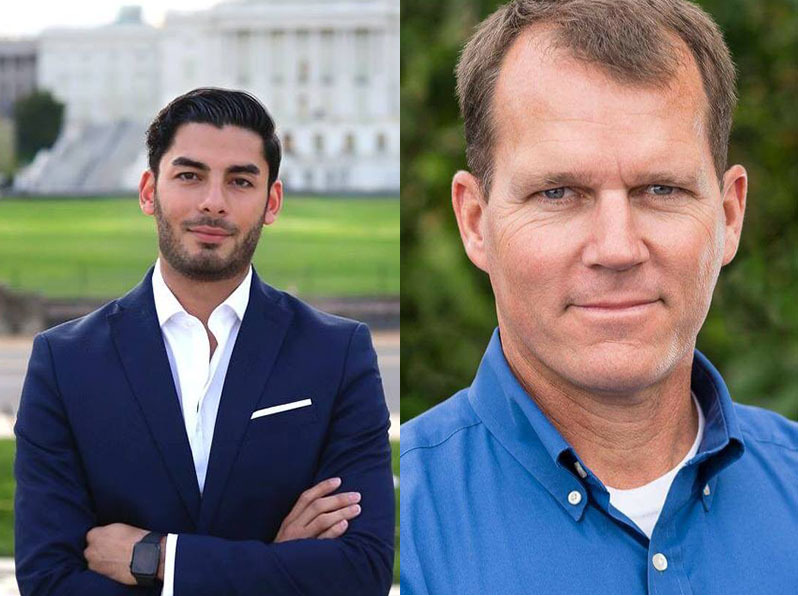 This week, we turn to the two strongest Democrats running: Ammar Campa-Najjar and Josh Butner. Butner, like Lamb, is a veteran. He was a career Navy SEAL, who retired in 2008 and moved to Jamul. (He wanted the space and horses.) He grew up a Democrat and serves on the Jamul-Dulzura Union School Board. Campa-Najjar served in the Obama administration, in the executive office of the president and later the Department of Labor. He’s of Palestinian and Mexican descent — his family lived in Gaza for a couple years before fleeing the violence. They both have interesting stories. But what about politics? Do you support single-payer, or Medicare for All, healthcare? Campa-Najjar: Yes. I support Medicare for All. However, I don’t think it’s going to pass in Paul Ryan’s Congress. So, I would support expanding it to people 50 and older. I want them to have the option to pay into it if they want. Butner: I do believe that healthcare is a right, not a privilege. But the Affordable Care Act was a step in the right direction. If you look at the states that fully implemented the Affordable Care Act, and took advantage of expansion of Medicaid, those insurance markets became more stable compared to states that did not. We should make the Affordable Care Act work better for everybody. Should we regulate firearms more? Campa-Najjar: We should adopt the same standards the military does. A mental health check, background check and then you store arms in an armory when you’re not using them. Butner: I believe in the Second Amendment and I own weapons. On the school board, the safety of my students are part of my charge. We just passed a resolution to ask Congress to, at a minimum, allow the CDC to study the effects of gun violence and pass common-sense gun safety legislation. Do you support a pathway to legalization of unauthorized immigrants? Campa-Najjar: For Dreamers. In my conversations with them, they prefer to have legal status not necessarily citizenship. I would prioritize deportation of dangerous criminals. It would be a waste of resources to deport 11 million people. Campa-Najjar: We have momentum on the ground where it matters. The people who like Josh’s resume are going to go to the household version of it and go with Hunter. Hunter is the veteran they know. Josh is just a less conservative version. Others say, well, Hunter’s corruption will sink him. But there’s a part of this district that was represented by Duke Cunningham — there’s a high threshold of tolerating corruption sometimes in this district, the people who are left over don’t like Hunter and his issues and that’s why they’ll gravitate to me. Butner: When you look at anybody for any political office you should look at their past experiences. I served for 23 years. It shows dedication and you’ve been exposed to foreign policy at the tip of the spear. I learned a lot about cultures, in conflict and cooperation. It should be a requirement to have served to even run. 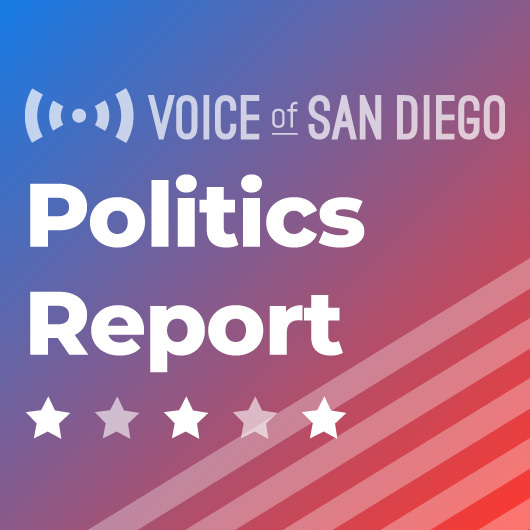 On this week’s podcast, we talked about Trump’s visit to San Diego and the Border Patrol’s warnings about its relationship with local law enforcement. But we also began our interviews with candidates for City Council District 8. 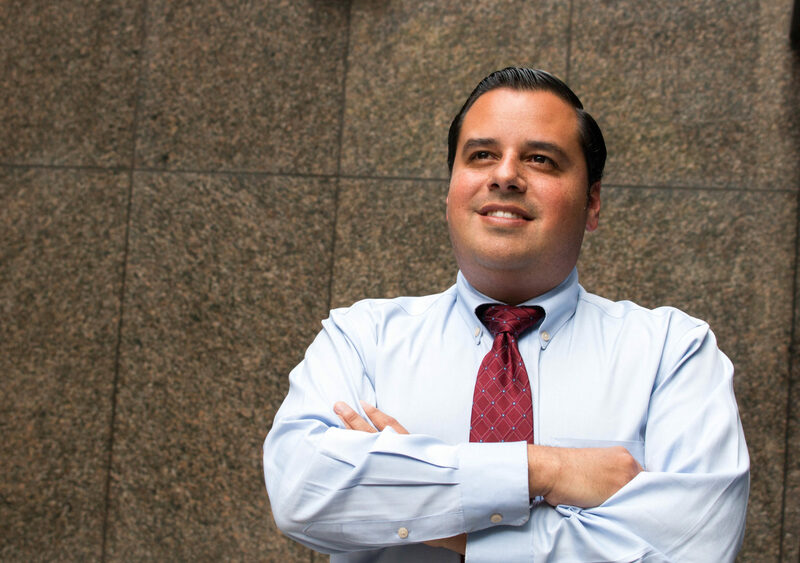 This week: Antonio Martinez, a board a member at the San Ysidro School District. Money quote: His interview didn’t have too many surprising moments but there was one thing that stood out. A big challenge for whomever gets the job to replace Councilman David Alvarez is the Barrio Logan Community Plan. The future of zoning in Barrio Logan has bedeviled the city for many years. Alvarez helped hammer out what he and others thought was a compromise between residents and the shipbuilding industry. It passed the City Council but the shipbuilding industry forced it to the ballot where voters threw it out. We asked Martinez whether he thought residents and the industry can live together in perpetuity. “You know what? I don’t know,” he said. The District 5 County Supervisor seat held by termed-out, far-right Supervisor Bill Horn is not especially fertile territory for a Democrat. There are 30,000 more Republicans than Democrats in the district. Nonetheless, the Democrats now have a candidate. Michelle Gomez, a legislative analyst active within the Democratic Party, left the 76th Assembly District race to run for supervisor instead. She’s facing Republican San Marcos Mayor Jim Desmond and Oceanside City Councilman Jerry Kern, also Republican. Gomez is likely to get some financial support. SEIU opened an independent expenditure committee in the district a few weeks ago when no one was running. It clears up AD 76 too, leaving just two Democrats and a horde of Republicans vying for a seat that many Democrats consider an opportunity. Registration is nearly even in the disrict. The seat is open because Republican Rocky Chavez decided to run for Congress in the overlapping CA 49 instead. Tasha Boerner Horvath, an Encinitas Councilwoman, and local activist Elizabeth Warren (slogan: “California’s Own Elizabeth Warren”) are running on the left. Six Republicans are running — including former Gov. Pete Wilson’s stepson Phil Graham, former Encinitas Councilman Jerome Stocks, Vista Councilwoman Amanda Rigby and Mo Muir, a board member of the San Dieguito Union High School District. Campaign synergies: Democrats think this might be the year they’re competitive in North County. For one, having contested races in the same place national Dems are expected to send a lot of money and resources (CA 49) could boost their odds down ballot. 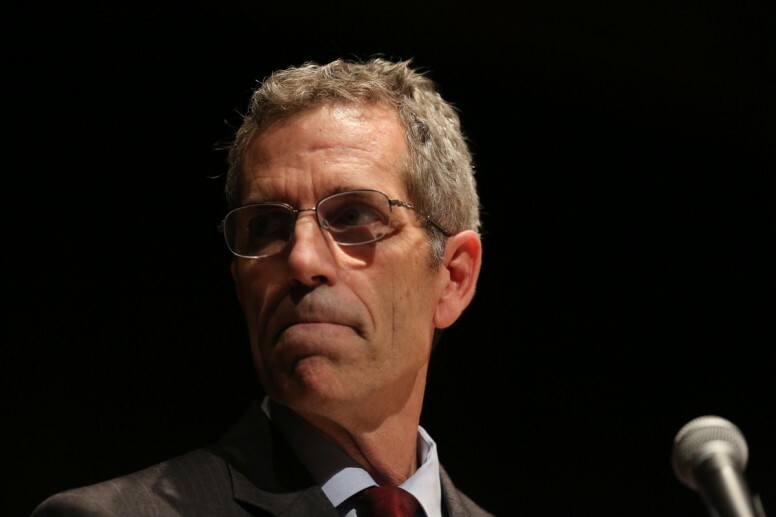 A few weeks ago, we speculated that nobody was going to end up challenging Mike McQuary, one of the five trustees of the San Diego Unified School District. That happened. 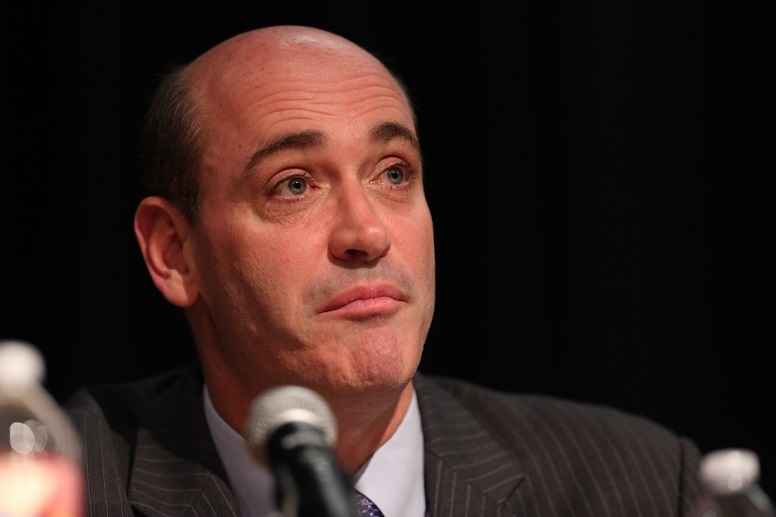 But his colleague, Kevin Beiser, ended up without a challenger for the board seat as well. It’s a sad state. These are important jobs. They should at least have to make the case to keep them. The fallout: Matthew T. Hall, the editor of the opinion section at the Union-Tribune started a long Twitter discussion about this the other day. We talked about a number of reasons it happened: school board candidates have to run district-wide races, covering almost the whole city of San Diego. The city and school district have rejected reforms that would change them to sub-district elections, as recommended by the Grand Jury. Citywide campaigns are expensive. Also, the “part-time” job only pays $18,000 (with free health care). Last year, board members even took a pay cut in solidarity with other workers. But school board member John Lee Evans, who won re-election in 2016, had a different culprit in mind. The media! It’s appalling that there are not multiple candidates for school board. As a Trustee I know that we are making decisions that profoundly affect all of San Diego. One of the big issues is that the media does not talk about it more PRIOR to the deadline. Now it’s too late. Someone get that man a Politics Report subscription! They’re free (for now!). Fact: The school board could use more coverage and investigative journalism. Correction: Earlier versions of this story said Gomez was an attorney, and then a paralegal. She currently works as a legislative analyst. Tips or feedback for the Politics Report? Send them to scott.lewis@voiceofsandiego.org or andrew.keatts@voiceofsandiego.org. And if someone forwarded this to you (and you want to get it yourself every week) sign up here.